North Carolina-(BASN)-It’s officially!! March Madness has begun, so get your brackets done, because it should be an exciting tournament, especially if the No.16 seed Hampton Pirates beat Manhattan in the qualifying round, and then, go on to defeat the No.1 ranked Kentucky Wildcats, which would destroy their quest for a perfect season. 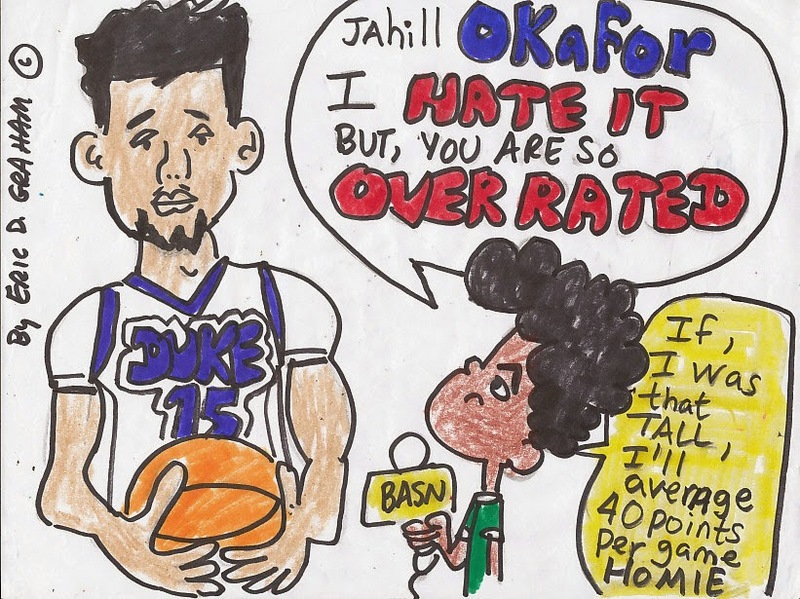 With that said, Bobbee Bee “The Hater,” has prepared some cartoons for all of you Basketball lovers, especially after watching the recent ESPN 30-for-30 documentary-“I HATE CHRISTIAN LAETTNER! !” So, GET READY TO LAUGH OUT LOUD!!! 1. 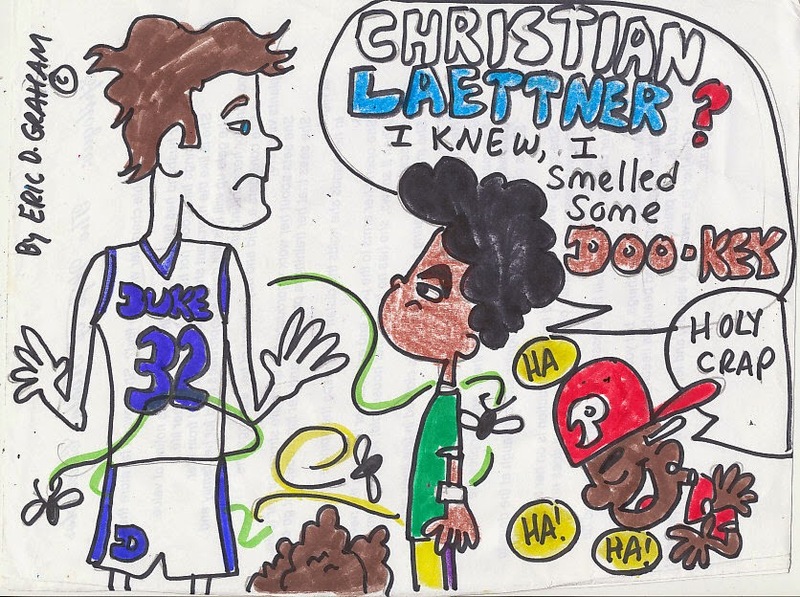 Did you see the ESPN 30-30 documentary “I Hate Christian Laettner”? YES. 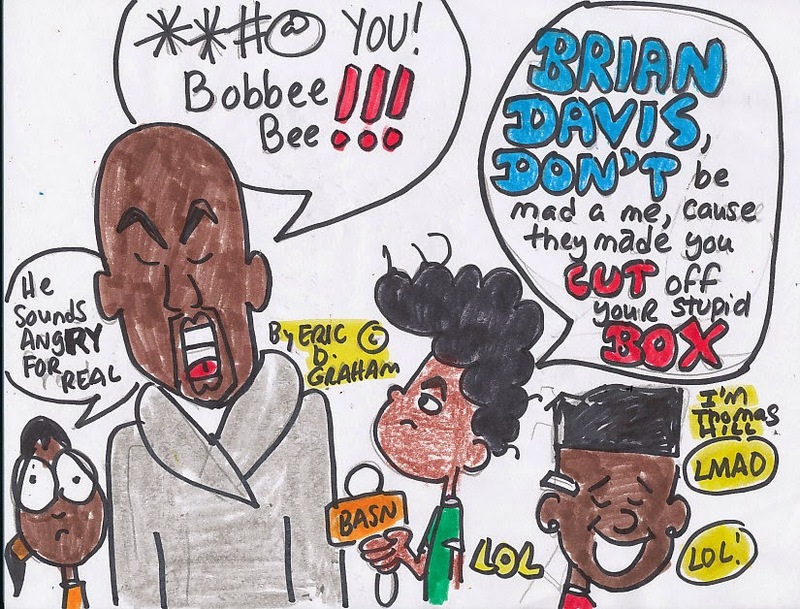 And, Brian Davis was angry like a woman scorned. 2. After watching the documentary about Christian Laettner, do you think he is gay? No. But, think former Duke basketball star Danny Ferry is…. 3. Do you like Kentucky Wildcats head coach John Calipari? No. I think he is a dirty rat, who knows how to recruit. 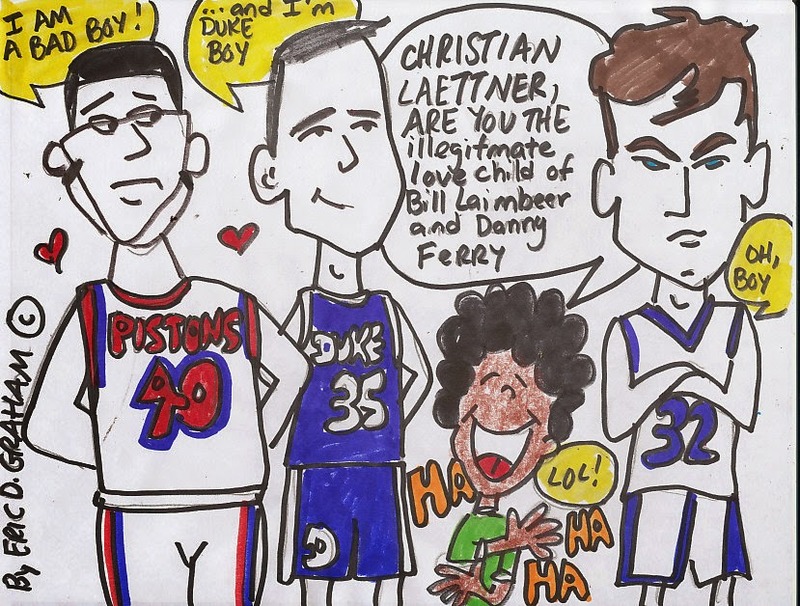 4.Who do you hate more Bill Laimbeer, Dan Ferry, or Christian Laettner? Bill Laimbeer!!! He was the original Bad Boy!! The Original Rude Boy!! 5. What’s your opinion on freshman sensation Jahill Okafor? He’s so overrated. It’s pathetic. I am not impressed at all. 6. Are you cheering for Duke or Carolina in the NCAA Tournament? I am pulling for the Hampton Pirates. Besides, I don’t like Carolina. Plus, I don’t like the smell of DOO-KEY!! 7. Did you go to the 2015 CIAA Tournament? Nope. I was in the bathroom, with the door locked, sitting on the toilet, reading some of my uncle’s old Jet magazine. 8. Did you attend the annual Saviour’s Day Convention this year? 9. Are you going to watch the Mayweather vs. Pacquiao fight? Man, I really don’t want to see Mayweather fight Pacquiao. 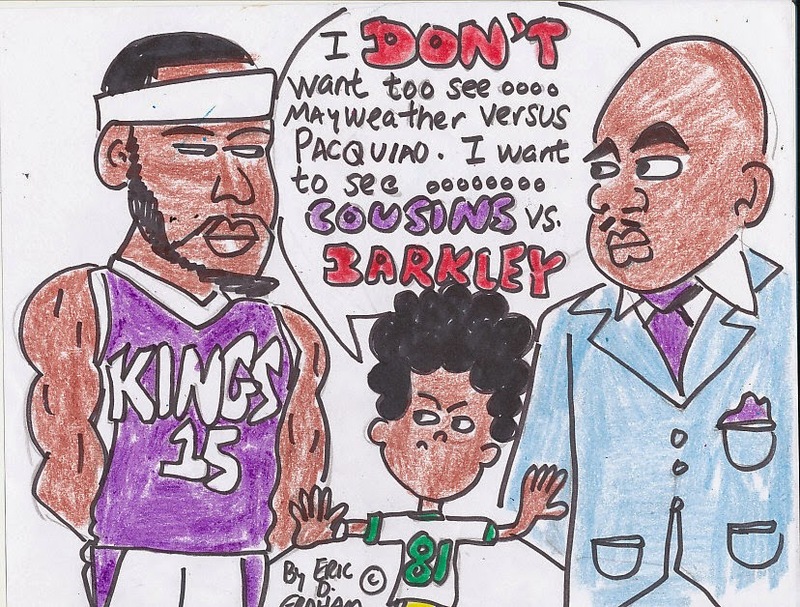 To be honest, I rather see DeMarcus Cousins box Charles Barkley for 3 rounds. 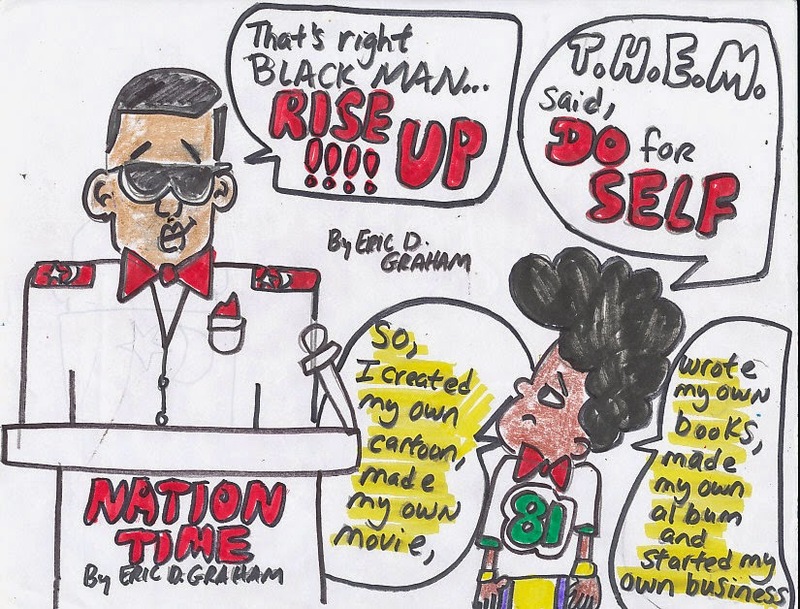 (LOL) Now, that’s some good television!! 10. Is Lebron James your favorite basketball player? No. I hate Lebron James. 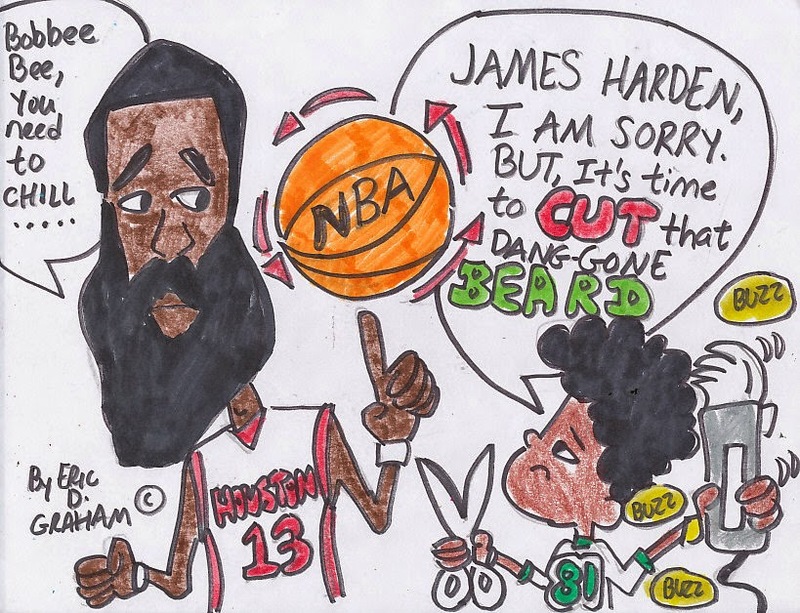 But, I love James Harden. I know, it sounds weird. But, I dig the beard. BOSS!! !